According to analyst Chris Larsen, Sprint and T-Mobile customers may not have to wait much longer for the full iPhone experience. Chris Larsen is the latest to weigh in on the potential for carriers besides AT&T and Verizon Wireless to be part of the next iPhone experience. Citadel analyst Shing Yin announced just last week he believed Apple would begin selling a Sprint iPhone before the first quarter of 2011. “While we remain uncertain regarding the next-generation iPhone’s specs and features, we believe the most noteworthy change could be the device’s ability to run on more networks, specifically Sprint and T-Mobile in the U.S,” Larsen said in a research note released earlier today. A move to both Sprint and T-Mobile would significantly expand Apple’s reach, critical at a time when Android smartphones have begun to take over the mobile market. 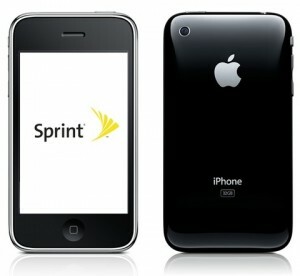 Adding Sprint and T-Mobile would increase Apple’s potential market by at least 30 percent, Larsen concluded. The next iPhone is expected to be a universal device, according to Verizon CFO Fran Shammo. Larsen agreed, adding that there are few technical hurdles to ensure the phone is compatible with every network.